Rag'n' Bone Man will be joined by this year's Critics' Choice Award winner for a special duet at the BRIT Awards on February 21. 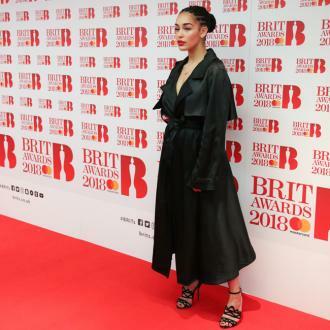 Jorja Smith is set to join Rag'n'Bone Man for a duet at the BRITs. The 'Human' hitmaker passed down the Critics' Choice Award to the 'Let Me Down' singer this year, and now the pair are joining forces for a special performance at the ceremony at London's The O2 on February 21, for what will be the first time a winner of the accolade has performed at the main event in the same year as winning the gong. After picking up the prize, Rory's debut album 'Human' went straight to number one, achieving the fastest selling UK male debut of the decade and selling over 2.5 million copies worldwide. BRITs Chairman & CEO and Chairman of Sony Music UK & Ireland Jason Iley said: ''It will be an amazing moment from two incredible artists: One artist who has achieved huge success last year performing with another artist who is about to do the same this year. The pair - who followed in the footsteps of the likes of Adele, Emeli Sandé and Sam Smith by receiving the honour - will join previously confirmed performers Ed Sheeran, Sam Smith, Stormzy and Foo Fighters at the show, with more artists to be unveiled in the coming weeks. The Mastercard-sponsored ceremony, which will be broadcast on ITV, will see British comedian Jack Whitehall host.